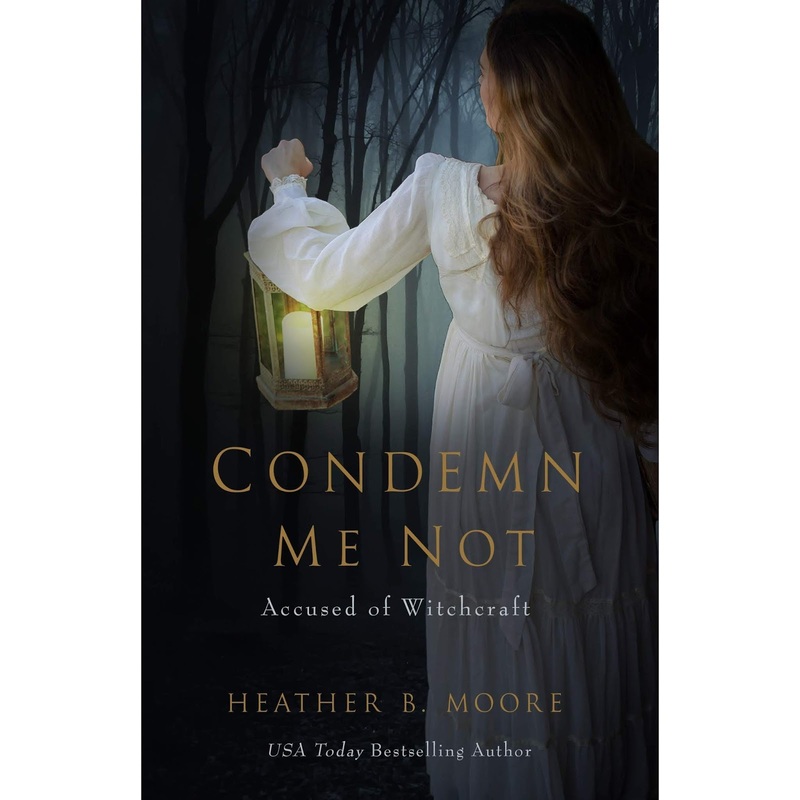 Interview with Heather B. Moore about her book "Condemn Me Not: Accused of Witchcraft"
Condemn Me Not:Accused of Witchcraft, is a fantastic book about the author’s ancestor. Are you wondering what it would be like to write fiction about your ancestor? Heather B. Moore wrote about her ancestor in the book Condemn Me Not, largely about the Salem Witch Trials, but also detailing her ancestor’s early life when she met her husband. Ora: Heather, it’s so kind of you to do this interview! When reading your book, I was immediately appalled and fascinated as you described your 72-year-old, 10th great-grandmother, Susannah Nurse Martin, in a filthy prison awaiting trial for the infamous Salem Witch Trials. The year was 1692. I’m curious, did you feel any connection to her as you wrote? Did it feel any different than when you’ve written other stories not based on an ancestor? Heather: Thanks for the interview, Ora. Susannah is on my father’s side of the family, but my mother is who discovered the connection. When she first emailed me some information, I knew immediately that I wanted to write her story someday. That someday occurred several years later. I think feeling compelled to write her story was a connection that I couldn’t exactly explain. Her story is included in many historical texts, but I wanted to take a different approach. Ora: Did you come at the story differently knowing you were writing about an ancestor and not a fictitious character? Heather: I’ve written a lot of historical novels, so this wasn’t different in that aspect. The difference was that I knew that many of my family members would likely be reading it, as a family history of sorts, so I wanted to make sure I did thorough research. Ora: When you first found out you were a descendant of Susannah’s, how did you feel? Heather: I found out about 10 years ago, and started seriously thinking of when and how to write the book about 8 years ago. I was amazed and read through several things online that I could find. Ora: What was it like writing about the romance of your ancestors? Heather: Susannah was twenty-five when she married, which was considered a near-spinster. After reading through all that she and her husband had endured, and the many times he’d stood up for her, I knew there was a true love story in their relationship. Of course, I took some liberties with emotions and attractions, but I believe that I was at least basing them on emotions that transcend time for all of us. Ora: Were you worried you wouldn’t get something right and displease Susannah or George Martin? Heather: There was enough conflicting information, that sometimes I had to take the best educated guess. I was also careful to include all of my sources at the end of the book. I’ve received an email or two from other descendants with corrections, and I’ve gone ahead and updated those files. The nice thing about historical “fiction” is that readers know there are some liberties taken, and I am sure that Susannah and George understand this as well. Ora: Why did you write Susannah in first person? Heather: First person narrative is a very intimate point of view. I didn’t exactly “choose” to write in first person. The first paragraph came out that way. I wrote the first chapter about four years before I was able to continue in writing and research, so I stuck with my earliest impressions of how the story needed to be told. In the audio version, narrated by Nancy Peterson, I find that first person becomes a haunting and touching voice. Ora: I enjoyed the structured of the story with going back and forth through time. Why did you write it this way? Heather: I decided to write the story as a dual timeline because I didn’t want to have to skip over years with each chapter as I wrote. I also didn’t want to regurgitate all of the books out there that focus on the trials. By writing Susannah as a younger woman, we get to see her early life, her romance, and delve into her community culture and norms. 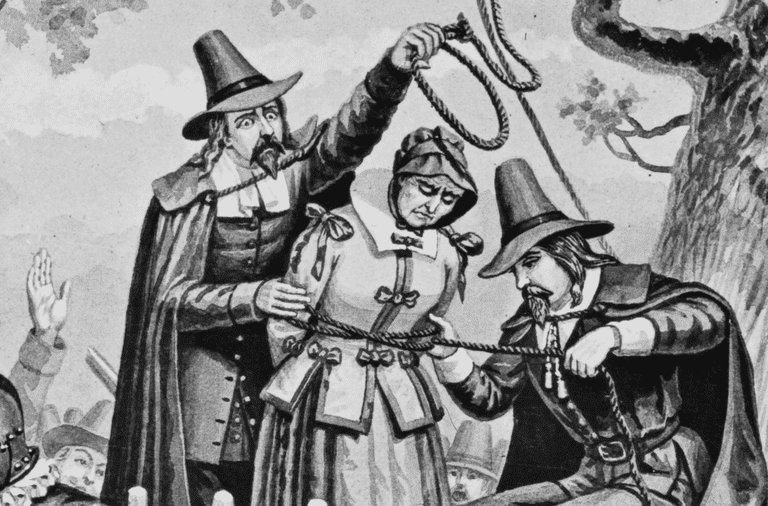 We learn about the foundation of the Salem and Salisbury community, so that when Susannah does meet her tragic end, we have a full view of this era in American history. The chapters of her as a young woman also give the reader a bit of relief from the chapters set in prison during her last few weeks of life. Ora: What would you like to share about the research? How much research did you do? How long did it take? Heather: I dabbled on and off for about four years, and finally I decided to dedicate two months to research and writing. When I was finished, the book felt too short. So I added a couple of scenes “after” the marriage. Even when I’d finished it, I didn’t publish it for about another year. We also did a custom photo shoot with my daughter as the cover model. Ora: That’s cool about your daughter being on the cover—one more connection to family. Was it hard to decide what to put in the story and what to leave out? Heather: I already knew that I didn’t want to focus on the trials and the accusers as much as other books had. It had already been done, and done well. So that gave me more focus on Susannah’s earlier life and her immediate family. 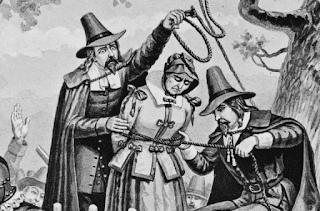 And then I wanted to include the women she was hanged with. For the sake of the story, I have them all in the same jail cell, although they might not have been all together. That was another thing that was hard to discern through research. But they all received the same death sentence and were hanged at the same time and place. 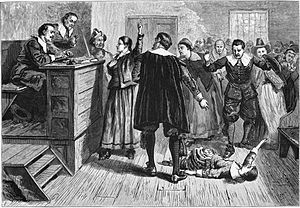 Ora: What is your take on Puritans and the witch trials? Heather: There are plenty of theories as to the “why” that have been explored by other historians. I definitely believe in mass hysteria since I’ve seen it in my own community. Rumors lead to more rumors, and that only fuels the fear. Ora: Have you written any other novels based on ancestors? Would you do it again? Heather: I would be interested in doing it again if I found the right story that compelled me to invest the time needed. I’ve ghost-written the beginnings of other ancestor stories, but haven’t finished them because there was no contract offer. Ora: Thank you for taking the time to share your thoughts with my readers and myself. Is there anything else you’d like to mention that may be helpful to someone who’s decided to write fiction about their ancestor? Heather: One piece of my advice from my mother is that she wanted me to “soften” some of the scenes I’d written, due to the advent of younger relatives reading my adult-audience books. I did soften a couple of the scenes. But those younger relatives eventually grow up, and I didn’t want to dilute the impact of the story. Another thing I did was a poll on the title of the book. I really struggled with what to call it, and finally landed on Condemn Me Not: Accused of Witchcraft, after reviewing several suggestions. Ora: Not only is it a good title, it was a great book. Thanks so much for taking the time for this interview. Condemn Me Not is a valuable example of how to write fiction about ancestors. What Does Your Ancestral Homeland Mean to You? If when you have your DNA tested for ethnicity and you find where your ancestors were from, does this make you want to travel there? Would you like to win a trip for two to your ancestral homeland? A couple of years ago, momondo recorded a series of videos called, “The DNA Journey Feat.” It can be found on YouTube and is very entertaining to watch. I would suggest starting with the one about Ellaha from Iran and then the other videos in the segment should que up. There are a few that are short segments of some candidates in the study, but it is far more interesting to watch the full videos of each individual, such as the ones about Jay, Carlos, and Aurelie. Momondo tested 67 people, but there’s maybe only a dozen videos to be found on YouTube. With cameras capturing their every expression as they look at their DNA results for the first time, their initial reactions are fascinating to watch. It was interesting to hear the answers to who they thought they were ethnically. Most were sure of their ethnic heritage, but the DNA results told them differently. Many who stated what they hoped they were not, were actually from that ethnicity. An Englishman who thought he was 100% English, said he didn't like the Germans due to the conflicts between the two countries and his ancestors serving and defending England. Through his DNA, he learned he was 5% German. Did the information soften his heart? His responsive expression seemed to say it did. All candidates were asked if they wanted to travel to the places their ancestors were from, and they all answered in the affirmative. Two years ago, I blogged about visiting my homeland in Ireland in a post called “Are Our Ancestors in Us?” I discussed that unusual phenomenon of feeling like you’ve come home when you travel in your ancestral homeland that you’ve never been to before. I’d like to update that post with an interesting piece of information. My initial ancestry.com autosomal DNA test stated that I was 7% Irish, which didn’t sit well with me. I “felt” more Irish. Well, as ancestry.com has accumulated a bigger database, their results have changed. I am recorded as 21% Irish and Scottish (the two are now grouped together). The results narrow it down further to pinpoint where in Ireland my ancestors were from, which is Southern Connemara and the Aran Islands of County Galway. A small area, maybe just 1/32nd of Ireland. I wonder how much more our DNA will teach us in the coming years? If you want to travel to learn about your ethnicity, you have the opportunity to win a trip for two to your ancestral homeland! 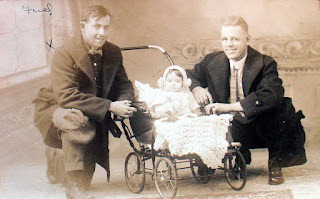 RootsTech is looking for videos of people stating what connections with their ancestors mean the most to them. Your video will need a title and short description. Use your imagination—and good luck! Do you know what “Epigenetic Inheritance” is? My novel WHITE OAK RIVER is a winner! How Do We Know Our Ancestors Narratives are Accurate? How comfortable are you writing historical fiction about your ancestors?